Gladiator heels are sandals with higher straps or ankle straps. They are in various styles. They could be different colors, amazing print or studded. 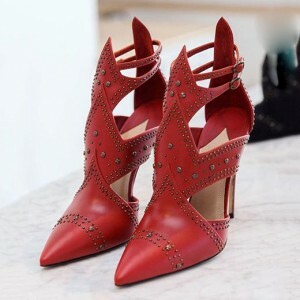 They are created by thousands of ideas.Gladiator shoes may not be worn by gladiators in the old time, but gladiator shoes become trendy for the season. Though they come from ancient Greek, they are loved by people today, of course, including the celebrities. Beautiful pair of shoes! They fit prefectly.